Acne is one of the most common skin issues that people of all many different ages struggle with, and the reasons for developing acne range from dietary to hormonal causes. This makes acne one of the hardest skin issues to overcome, not to mention one of the most frustrating skin issues to deal with too. Creams and gels that promise to cure acne don’t always correct the underlying causes of bad skin. Here are some of the most common foods that might be causing your breakouts and some especially nutritious alternatives you can eat instead. Greek yogurt is a great source of lean protein, calcium, Vitamin D, and Vitamin B12. However, there is a weak link between acne and dairy products. 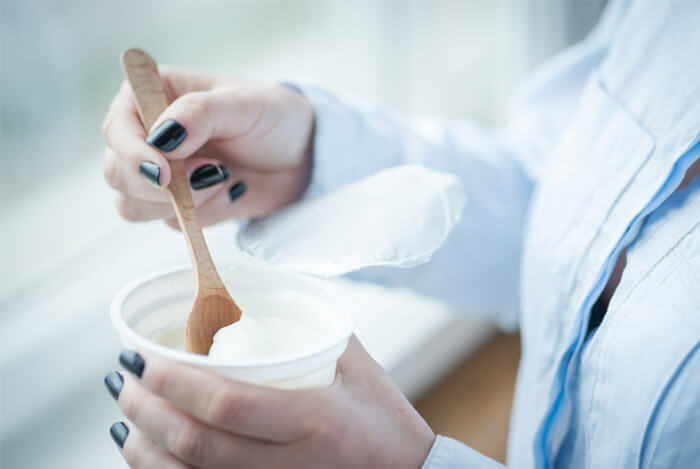 Even varieties of Greek yogurt without added sugars can still pose breakouts if you’re highly sensitive to dairy, so if you’re eating it regularly and breaking out, then you’ll want to consider removing it from your diet. If you’re looking to add more probiotics into your eating routine without yogurt, opt for some kimchi, sauerkraut, dark chocolate, pickles, raw cacao powder, apple cider vinegar, or other natural fermented foods. You can also take a dairy-free probiotic supplement as well if you’re just looking for the probiotic benefits that yogurt contains. Or, you can just choose to enjoy real Greek yogurt once a week as a treat instead of having it so often. 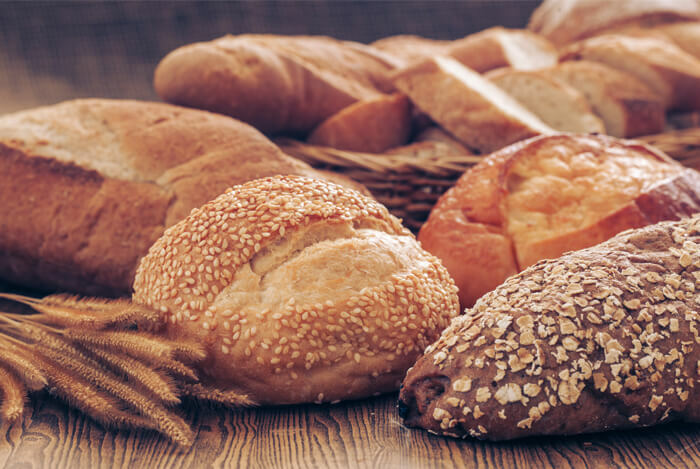 Whole wheat bread, waffles, bagels, crackers, and even ancient, wheat-based grains such as Kamut or farro can all be causing your breakouts if your body doesn’t digest wheat easily. Wheat can be hard for some people to digest, and if you also have a sensitivity to these foods, it could contribute to acne. Opt for other varieties of grains such as quinoa, amaranth, teff, and millet (which are actually seeds, not grains at all), or choose safer options such as oats and wild rice. 1. There’s no reason to toss out all of these foods from your kitchen all at once. First, note if you eat them very often. If not, they may not be causing your breakouts. However, if you eat them every single day or even several of them a few times a week, then you’ll need to eliminate all of them for at least 30 days. Notice if your skin improves during the 30-day period and note any other changes you feel in the rest of your body. 2. After the 30 days, introduce each of the potential problematic foods one at a time to see how you react to that one food before introducing another possible trigger food. It can be a timely process to find out what foods you’re sensitive to, but you’d be amazed at how your skin—and even digestion and joints— can improve once you’ve removed problematic foods from your diet. 3. It’s also important to cut down on other potential triggers of acne and breakouts such as alcohol, sugar, cheese, milk, wheat, excessive oils, and excess junk foods. Add more vegetables, fruits, and gluten-free whole grains to your plate, and opt for water instead of extra coffee or tea most days. Finally, don’t forget to get enough rest and manage your stress levels as much as possible. High stress levels and lack of sleep will both lead to lackluster skin and disrupted hormone levels. If you need help getting to sleep or relaxing more during the day, reduce the amount of caffeine you consume, take up gentle, stress-relieving exercises such as yoga and walking in place of running or HITT (high-intensity interval training), and have a hot shower or bath before bed to help you relax more easily at night.